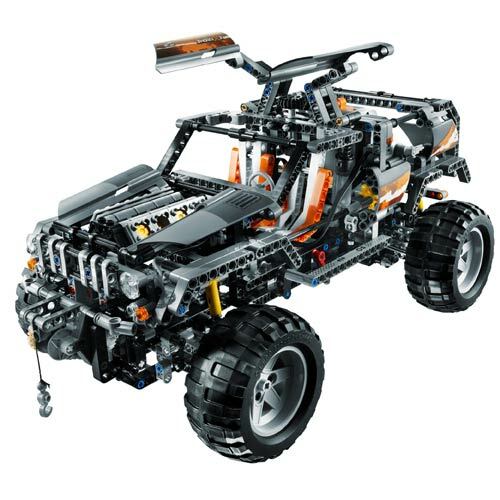 New images for some 2nd half 2008 TECHNIC sets, appeared at someone's Brickshelf folder. 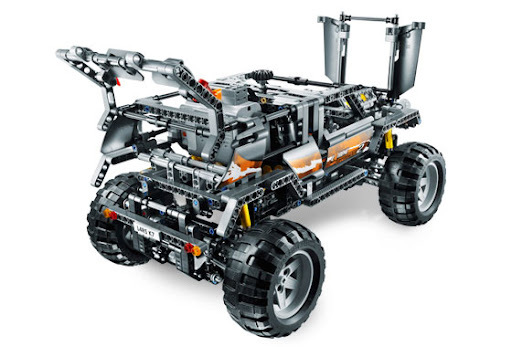 Even if unrealisitic the 8294 B model looks like great use of the linear actuators. If lights are the only powered function that brings my desire for a smaller battery box (coming with the PF train stuff?). Anyway I saw the pics on brickshelf and came straight here for the post. Cool stuff! Yes, I knew it is Whung. But since the actual photos folder doesn't allow to navigate into Whung's main folder, I though it was not too much relevant to mention it. Also it is not clear whether it is a real or nickname. The folder is linked anyway, for credit purposes. ... thanks anyway to indicate the root link, for those who may be unaware how to get there. Let me just say: "*Great! *"
When I saw the 8294's B-model, a quote from the Star Control II game came to my mind: "WHAT THE HELL KIND OF SHIP IS THAT?!" It looks like a cross between a snowcat and a dump truck! From a comparison between the A- and B-models, I'd say the B is a modification of the A instead of a full rebuild, just like the 8288 Crawler Crane. Why? The crawler base and the cabin seem the same, although the latter appears to be a bit shifted to the front of the turntable. And the B confirms what I suspected: the set has a red transmission driving ring! 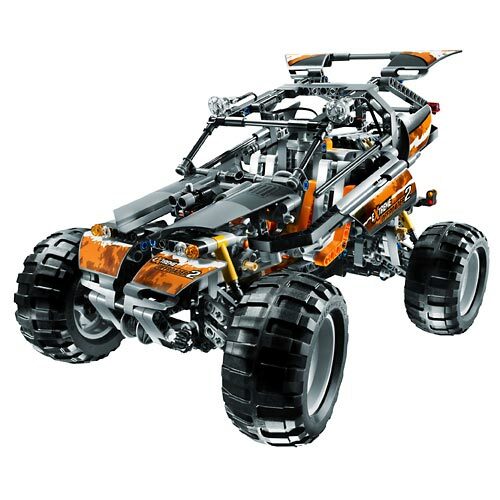 Since the set doesn't have a gearbox (like the supercars) or an engageable/disengageable mechanism (like the 8284 Tractor), I can only guess it is for motorisation via 8293 Power Functions Motor Set, to function like the 8292 Cherry Picker: a lever would control which linear actuator the motor would... well... actuate. 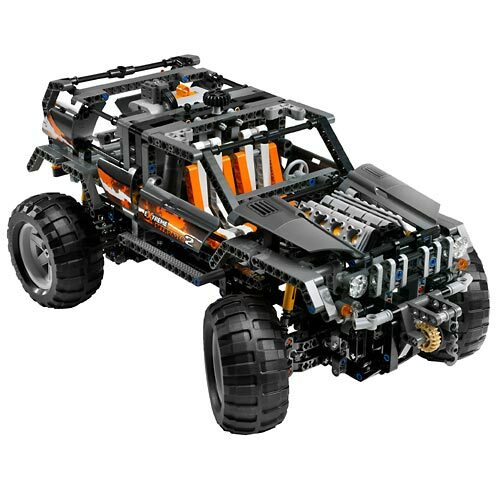 As for the 8297, maybe the motor raises/lowers the rear suspension, again like the 8284 Dune Buggy? Other than that, I can only think of automatically opening doors. The linear actuator is the perfect element to transform the rotation of our gears and motors directly into linear movements, like in hydraulic cylinders. The linear actuators work great together with our new motors on our power function platform. 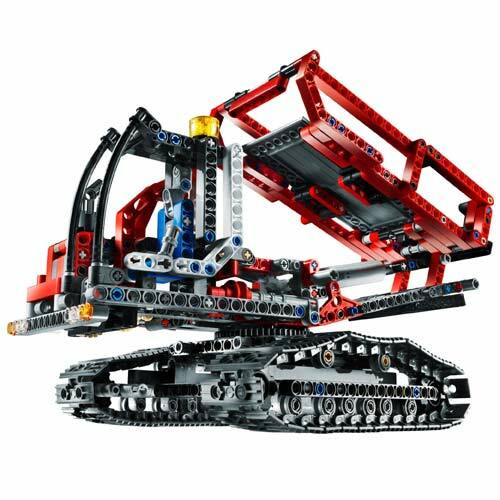 As the Power Functions platform was developed to be used in LEGO products for a long time, the Linear Actuator will definitely be included in more products in the future." Makes me wonder, does this only apply to future released sets, or will we get motorized options to the A or B model, similar to 8285-B. Anyway thanks for the post avcampos...the linear actuators are screaming for motorization. ...And of course thanks again Conchas for the original post and the blog! AFAIK TLG employees have strict instructions that prevent them to comment about concrete products they might have planned for the future or which are actually under development (i.e. not yet announced to the public). This however not the case for the upcoming Linear Actuators, since they were already presented to the public at last Toy Fairs. And thanks for the compliment too! As almost everybdy else, never saw something like that, neither imagined such exists. Regarding 8294's driving ring, I think it's to switch between control of the 2 linear actuators, instead of 2 seperate knobs like in 8419. Man, this set just keeps looking better and better! Where is the trans-clear shock absorber?? I couldn't find one. 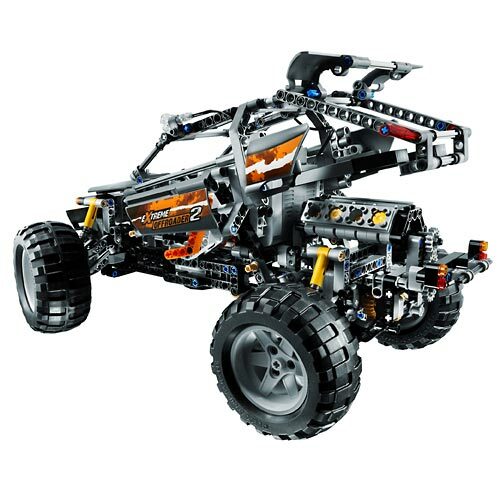 B model for 8297 looks very nice too, I'll definetely get that set! Wow, I too never imagined such a weird-looking machine (not to mention the fact it appears to be a modified A-model) would exist in reality! 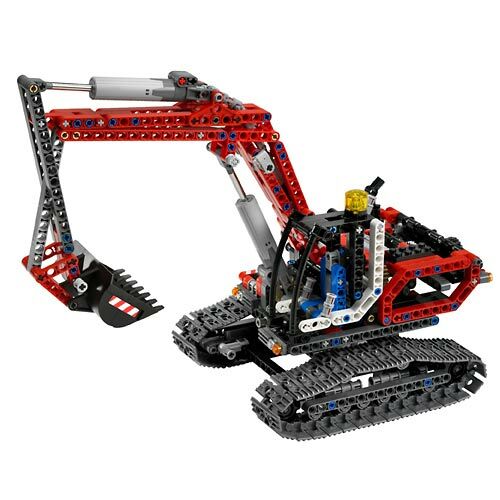 Kudos to the LEGO designer(s) who came up with the model, easily (at least I think) changeable between two real, different machines. Heck, I can even imagine two 8294's, one A-model and one B, working together like the video snowblader13 posted! One more point to the designer(s)! But does this spell the end of LEGO pneumatics? 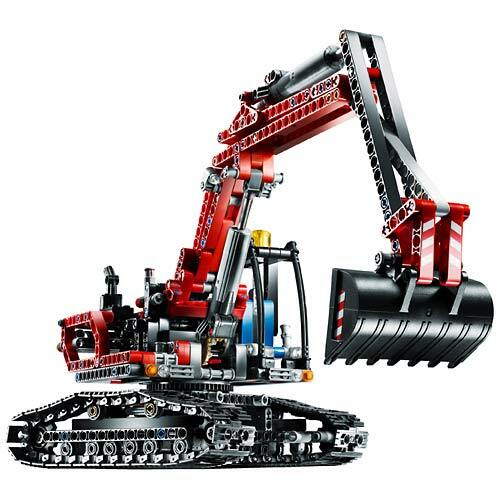 I was afraid of that too (LAs, to replace Pneumatic Cylinders), but LEGO confirmed this will not be the case. Somewhere in the recent news here at TBs, by Jan Beyer. Cool. Thanks for that info. Glad to hear it!